Is it possible to host the existing WPAD/PAC file for proxy autoconfiguration on Web Safety? Yes UI of Web Safety is able to host and serve the WPAD/PAC file. Navigate to UI / Squid / Tools / WPAD, select your existing WAPD file and click upload as indicated on the following screenshot. 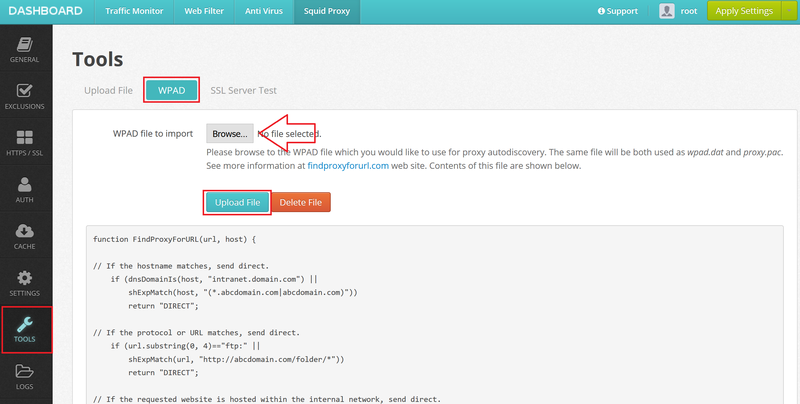 After upload file will be available on the FQDN of the proxy by the address http://<proxyt.domain.name>/wpad.dat. Please note, after adding wpad.example.com domain name as explained on http://findproxyforurl.com/wpad-introduction (look for DNS WPAD section) in Microsoft Windows Active Directory DNS you may still get the can’t find wpad: Non-existent domain error from DNS server as shown on the screenshot below. This is because wpad domain name is part of global domain name block list on your DNS server by default. You need to remove it from the block list as explained in the article https://docs.microsoft.com/en-us/previous-versions/windows/it-pro/windows-server-2008-R2-and-2008/cc816655%28v%3dws.10%29. 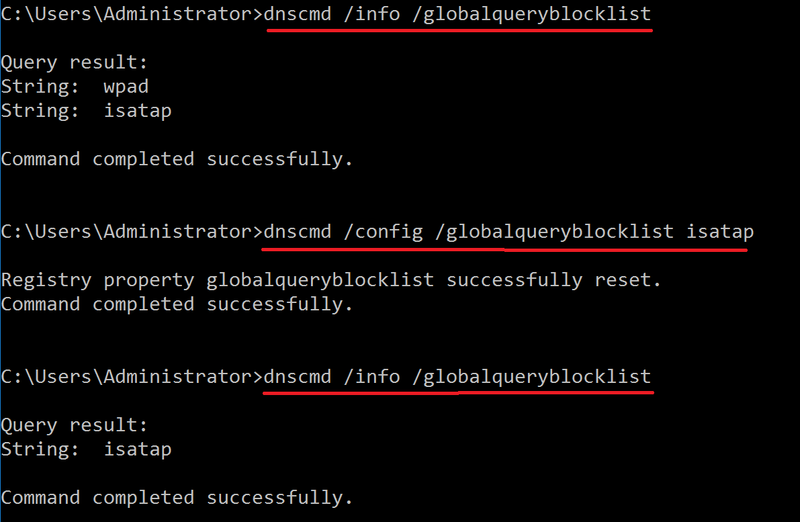 After that nslookup wpad.example.com command will work just fine and your browsers will be able to detect the presence of proxy automatically.